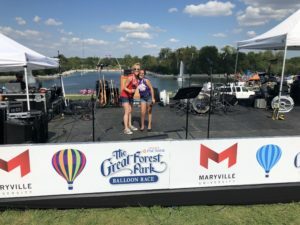 Maryville University’s Kids Rock Cancer was proud to be a part of the Great Forest Park Balloon Race this year. Kids Rock Cancer rock star Arianna performed on stage with KRC music therapist Jaime. 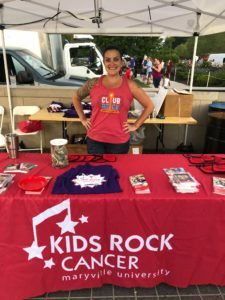 Thank you to Club Rock co-chairs Sara Leeman and Hannah Wilson for volunteering over the weekend to spread awareness to the community for Kids Rock Cancer!